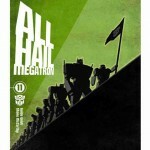 UK comic store OneShallStand.com have managed to interview All Hail Megatron writer Shane McCarthy. 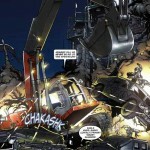 They discuss his work in the comic industry and how he managed to get a job on a Transformers project. 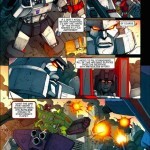 He also answers some of the criticism that the series has received and some of the unanswered plots, like the Autobot traitor, which will be revealed in issue #8, and what his next project might be after All Hail Megatron. 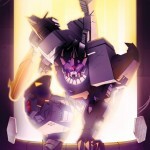 With fans started to get onboard the All Hail Megatron train, writer Shane McCarthy has discussed the reaction to the series with Comic Book Resources, as well as the design concept for the new character Drift. Also included in the article are the cover for issue #8, plus a couple of unreleased pages and concept art for a new design for Perceptor. 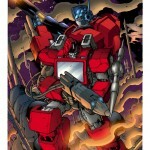 IDW Publishing have announced their Transformers comic line-up for October 2008. 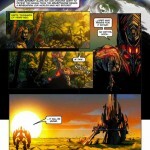 The only disappointment is that the Maximum Dinobots series from Simon Furman will not start until the following month. 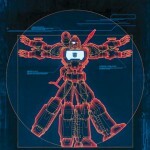 In total there are 7 books, consisting of IDW’s main continuity, the Animated, Armada and Movie continuities and reprints of Marvel UK’s stuff. 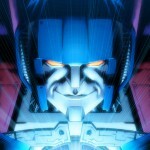 After last weeks relatively empty Transformers release list, there’s a better range of comics for Transfans to choose. 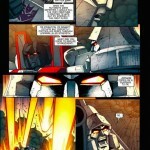 First up is The Transformers: All Hail Megatron #1, the start of IDW’s new direction for the main Transformers continuity. Set 1 years after the events of Transformers: Devastation, the series focuses on Earth ruled by the Decepticons. 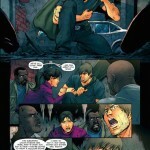 Chris Ryall has posted a 6 page preview from the first issue. 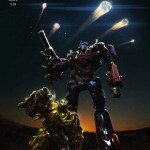 Transformers: The Ark, Vol. 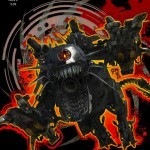 2 is the second compilation of character models, locations, humans etc from the Japanese exclusive Generation One series. 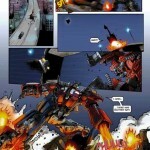 Transformers: Saga of the Allspark #1 is a reprint of the first 2 issues of Titan Magazine’s exclusive UK comic, originally released last July and August 2007. This is the perfect opportunity for North American based fans to pick up the material. 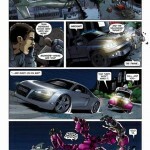 Finally there is Classic Transformers, Vol. 2, featuring many tales from the Marvel series. 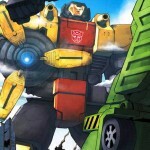 IDW Editor Denton J. Tipton has provided an update on IDW’s planned Transformers comic releases over the next few weeks. 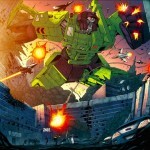 IDW Editor-In-Chief Chris Ryall has updated his blog with the other full colour cover for All Hail Megatron #3. The cover is done by Trevor Hutchinson, and continues his cold war themed covers for the series. 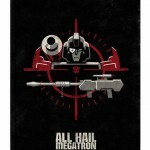 The Transformers: All Hail Megatron #3 is due to be release in September, being written by Shane McCarthy with art by Guido Guidi.